South Africa's cosmopolitan city of Cape Town is a magical and awe-inspiring city on South Africa's southern tip. Steeped in history and with so many fabulous and iconic places of interest such as Table Mountain and the beautiful Winelands, there is really no better place to start your South African adventure other than in Cape Town. Cape Town is the cosmopolitan capital of South Africa’s Western Cape Province and must surely boast one of the most beautiful settings in the world with the stunning Table Mountain providing a jaw-dropping back drop. 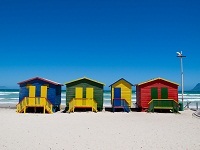 Cape Town is also famous for some of South Africa’s best beaches including Camps Bay, Hout Bay and Llandudo Beach. Head to Boulders Beach to see the gorgeous African penguins or enjoy the tranquillity of the exotic plants and birdlife at Kirstenbosch Botanical Gardens. There's a great selection of airlines which fly into Cape Town including KLM, Emirates and Singapore Airlines. If you prefer to fly directly, there are 3 airlines which operate direct flights from the UK namely South African Airways, Virgin Atlantic and British Airways. Table Mountain is now protected by a National Park which covers three quarters of the peninsula from Table Mountain itself to Cape Point. The best time to visit the mountain is early in the morning or later in the evening as once it’s covered in cloud (known as the tablecloth), visibility can be quite poor. If you’re feeling fit, there are more than 300 different routes up and down the mountain however take care with the weather conditions as hiking can be dangerous when the weather closes in as the mountain is over 1000 metres high. Most visitors chose to take a Cable Car to the summit – the views from the top are simply spectacular and look out for the native Dassie which resembles an oversized gerbil! One of Cape Town’s most notorious and popular attractions is Robben Island where its prison was home to many black political freedom fighters including Nelson Mandela. Robben Island is now a World Heritage protected area and a tour to the island offers a glimpse of life under apartheid rule. For some great shopping, dining and nightlife, head to the V&A Waterfront with it’s beautifully restored buildings and a superb choice of shops including boutique and craft shops. 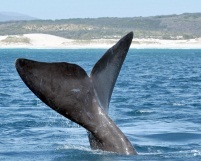 It is also home to the Two Oceans Aquarium and Maritime Museum and a great selection of cafes and restaurants. Just a 45 minute drive from Cape Town are the beautiful Wineland regions of Stellenbosch and Franschhoek. There are numerous Cellar tours and historic Wine Estates where you can enjoy a day of wine tasting or even better, spend a few days exploring the winelands, the superb restaurants and the stunning rolling countryside. If you're after the cheapest flights to Cape Town, South Africa, often indirect flights with a transit or even stopover enroute can work out to be the best value. Check out our flight search box to find the latest deals on cheap flights which are available through our many airline and travel partners. If you need to travel imminiently, we can also find you the most competitive airfares on lastminute flights. With weather coming in from both the Indian Ocean and the Atlantic Cape Town enjoys mild winters 7˚-20˚C and warm summers 15˚C-30˚C. Cape Town is most popular during the South African summer months which are between November to February, but the South-Easterly winds can blow through the city and therefore if you are heading to the beach, mornings are better.